Graduates can further the study for programmes with QF level 3, such as the Certificate of Facial Electrical Treatment (QF level 3). 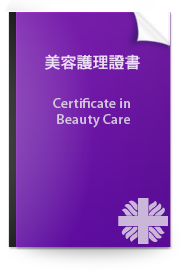 Graduates can search for jobs in beauty salons and spas which are related to beauty care and cosmetic products promotion e.g. assistant beauty therapists, make-up retail consultants.